Carbon monoxide (CO) poisoning affects thousands of households each year, leading to illness for many victims, and sometimes even death. We want to help protect your home and family from this possibility, which is why we encourage not only the professional installation of a quality CO detector, but also having your home checked for CO levels by a professional. 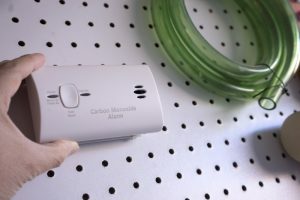 CO gas is colorless, odorless, and impossible to detect on your own—until symptoms start affecting members of your household (headaches, dizziness, sleepiness). Naturally, you don’t want to let it get to this point. This is why it’s imperative that you have a carbon monoxide detector installed and remain educated on carbon monoxide and its dangers.